Even though we’re in the middle of winter, stores are displaying spring clothes. From past experience, I’ve learned to buy early, rather than waiting until the actual season has begun. 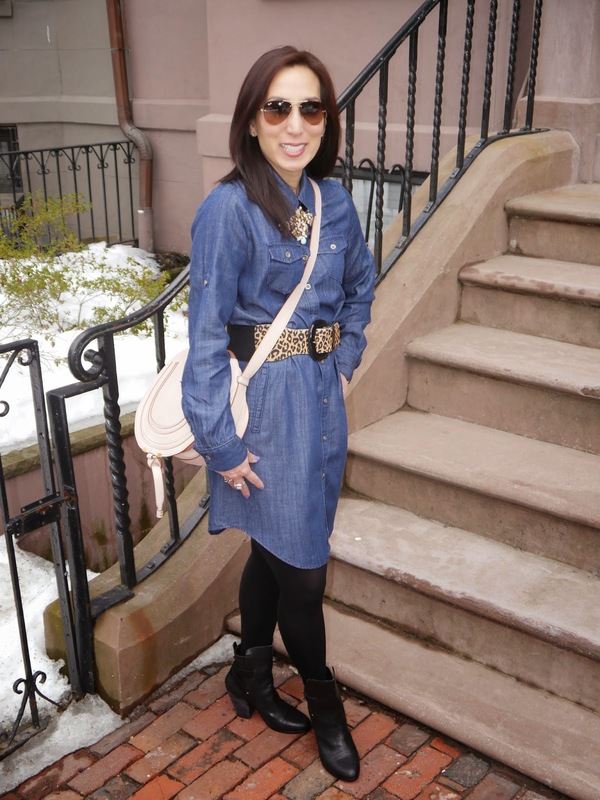 This chambray shirtdress is pretty versatile, because I can wear it as shown here in the winter (with boots, tights, a closed collar and long sleeves). When the weather warms up, I’ll wear it with sandals or espadrilles, an open collar and rolled up sleeves. I love this oversized J. Crew necklace!